The Uganda National Examinations Board [Uneb] will tomorrow, Wednesday, release the 2017 Uganda Certificate of Education [UCE] results. In a statement issued yesterday evening, the examination body announced that Education and Sports minister Janet Museveni will officiate at the function at the Office of the Prime Minister auditorium at 11.00am. Earlier reports had indicated that the results had been delayed because the minister, who is also First Lady was out of the country. 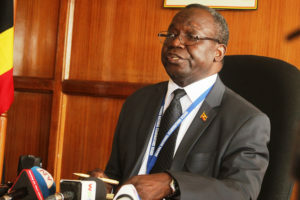 However, Uneb came out to dispel this claim saying the examination body was processing the Ordinary Level [O-Level] results and would release them as soon as they were ready. According to the examination body Statistics in 2017, a total of 325,695 candidates registered for the UCE examination from 3,620 centres. Of these, 160,595 (49.3%) were female candidates.